In the June 2011 edition of The Burlington Magazine, Renata Segre revealed the discovery of an important document —an inventory (dated 14 March 1511) of the property of “the late master Giorgio the painter” who died in a plague hospital in Venice. This important new evidence confirmed the old assumption that Giorgione was a plague victim. In addition, Giorgio the painter was described as the heir of “sier Iohannis Gasparini”. 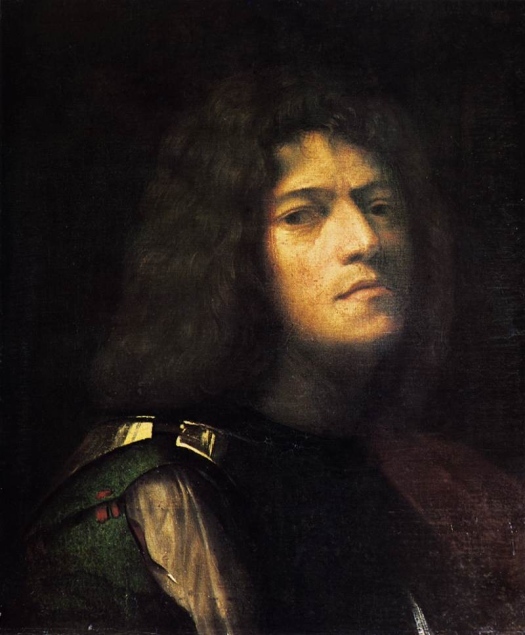 This led Segre to the assumption that Giorgione's family name was in fact Gasparini, and not Barbarelli, as cited by scholars until this point. Responding to this is Giorgione scholar Lionello Puppi. Published in several outlets in Italy recently, including this October 12 piece in the Corriere del Veneto, he points out that that the painter Giorgione di Castelfranco was “Giorgio son of Giovanni Barbarella son of Gasparino”—as noted in the other documents that Puppi cites, and which Segre evidently did not take into consideration. Puppi’s argument is that “Johannis Gasparini” is meant to be read as “Giovanni son of Gasparino”—not “Giovanni (first name) Gasparini (last name)”. This makes logical sense since we know from other documents that Giorgio was indeed the son of Giovanni and the grandson of Gasparino. Puppi supposes that the notary who registered the inventory was rather careless in his insertion of the formulaic “quondam” (“the late”) and that Giorgio’s descent would have been more immediately clear if he had introduced another “quondam” between “Johannis” and “Gasparini” in “fili dicti quondam sier Iohannis Gasparini”. However, notaries were often sloppy or inconsistent in this kind of way. And we need to consider the other evidence for Giorgio being the son of Giovanni Barbarella and the grandson of Gasparino. Ultimately, this offers yet another valuable lesson on the danger of (1) taking a single document out of context, and (2) not taking into consideration characteristic flukes in the documentation of the time. Wow! I'm glad I didn't jump on the Gasparino bandwagon. I think the Burlington should have also provided an English translation of the inventory especially since the article was in English. By the way, Gasparino is from Caspar, one of the Magi. Cheers for the comment Frank! I probably was a little guilty of riding along the Gasparini bandwagon - and did change another Giorgione post to include this name, now changed back - I think I was more excited by it as a demonstration of the flexibility of online publishing! That I took Segre's word for it goes without saying - I'm glad the response from Puppi did ensue - we now have a fuller picture. I wonder if Segre will respond? If anything, it shows just how marginal Giorgione studies are - anyone more intimately familiar with the documentation, or owning the aforementioned catalogues should have piped up immediately after Segre's piece came out - they didn't! I'm wondering if there is some tension between these scholars? Language like "sadly rather too imaginative" just doesn't belong in a neutral, scholarly discourse, (in my humble opinion) - that's what opinion columns and blogs are for! But, I must remind myself, the humanities work a bit differently to what I am used to in medical and allied health literature. Again, many thanks to Dr. Goldberg for the quick turnover in providing a description of Puppi's response for English readers. Many thanks for the clarification Ed - moving ahead is indeed the key! Mistakes are common to all humankind, and to those of us with a passion for knowledge, are instances of clarity where we become aware of how to adjust our methodologies in the future. Learning experiences are good experiences in my book, even if transiently causing one to blush!